"...Forgive us our sins..as we forgive those who sin against us.."
Every morning, as I went to school, I recited these lines of prayer before my sleepy friends standing in long assembly lines. I managed to wake up a few, who joined in unison, as I chanted solemnly in a pitch higher than necessary for recitation. I enjoyed every moment of it, as I soaked myself in the silence which filled the morning air like delicate mist, withering away with the rays of the sun. 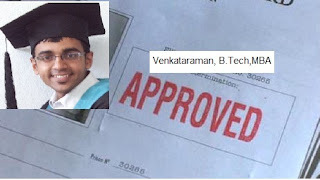 As I look back,it seems like a forethought karmic strategy, to absolve me from the crimes I committed unconsciously during my education, starting right from my school days until my post-graduation, with my crime rate rising exponentially across every phase of my education. What started as few petty crimes here and there slowly became more suave and sophisticated as I stepped inside a B-School to obtain my Masters in Business Administration. Few months back, when I went back to my campus to participate in the convocation ceremony to collect my degree certificate,I was asked to wear the convocation gown which made me look like an apprentice of black magic from Hogwarts. As I stood at the ceremony, I could never comprehend why my friends, parents and every well-wisher who was present there were praising me for this achievement. Those lousy gowns suddenly seemed to make sense as I realized that I was performing an abracadabra of grand scale for the entire world to believe that I had successfully completed my business education having spent two years at a place, far away in the mountains, well suited for episodes of Mills and Boons, with a velvety certificate bearing a silly, single-digit surrogate value which audaciously claimed to measure my business intelligence. In an alternate universe where human spirit was prized above everything, I would have been guillotined to death for the ingenuity and the national scale of my atrocities I had committed so far. Regret fills every fibre of my soul as I reflect today on the nature of my insidious crime committed over two decades of my schooling. I take complete responsibility for my actions and inactions. I know it's easy to blame it on the educational system, designed with a noble intent to create gullible consumers, docile citizens, amusing themselves to death inside rat races organized by the plutocracy dictating the forces of the market. I know it's even more easier to blame the teachers who could be held liable as partners in my crime. 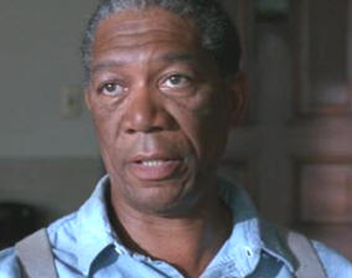 If I were brought to the court of justice in the alternate universe, Morgan Freeman might have supplicated to the judge for my parole,defending my actions, saying, "..he's just..just institutionalized". I don't want to be acquitted. I want to confess openly every crime I have perpetrated,under the pretense of education, to countless friends who bore the misfortune of studying with me all throughout my years of education.I am not doing this to attract your sympathy and good will. Definitely not. I sincerely want to redeem and unlearn all those heinous crimes, whose modus operandi, I fear, might still be lurking in neglected corners of the mind and manifest in hideous ways. If I am serious about survival in this post-industrial, post-carbon world, this unlearning, howsoever painful it may turn out to be, is necessary. Through my writing, I wish to purify myself from all those outright nonsensical ideas, filled with fatal assumptions, that were imparted to me in the name of education.I intend to write series of blog-posts on each of these crimes without leaving any gruesome detail behind. I think it would be most appropriate to start off with the most celebrated crime I have ever perpetrated in my journey to join a B-School. I say this because I was so good at it....Any guesses? Stay tuned for the next blog post to know more. Nothing happened. Wanted to look back on the things I did in the name of being educated. I thought it would be worthwhile to look at what I went through and what I did. Its something much more dangerous than that:) That's all I can say for the moment..
Hmm interesting..go on..something seems to be resonating here..
Sure. Will post it soon.. Waiting to read your next post !!! Btw, when did herd mentality become a crime?? A great post. Sounds very familiar to me as I struggle to understand the consequences of my own education. Would love to follow! Sure. Looking forward to hear your thoughts as well!! agreed...just out of one...i have similar questions....why the hell did i ever want to become a generalist...is it to please recruiters or my parents or society ? Corrected, thanks for pointing out! Generalist isn't a bad choice. Today's age seems to demand us to be aware of many things while being an expert in few things. This is in some ways close to being generalist. Generalist has no bias towards any specific subject. His intellectual curiosity can take him to any place where he wants to go..That sense of freedom can only be experienced by a generalist. Thank you. I am honored. I have been so amazed by your writings in your blogs. Your blog writings have touched me immensely! Sure Ashwin gaaru, will update it soon.. Thanks Naveen for your comments. Hope you are having a lovely time. Herd mentality is a crime, only when a person’s brainpower exceeds that of the Wildebeests of the Serengeti. When one is part of the whole, one's brain power obviously would far exceed..anyways, im getting into other dimensions and my thoughts are getting wild as well..
McAllister: "Show me the heart unfettered by foolish dreams and I'll show you a happy man." What were you talking about my rebellion?? Swords-S?? When words can turn into swords in this Social Media age,sword is just one letter away..